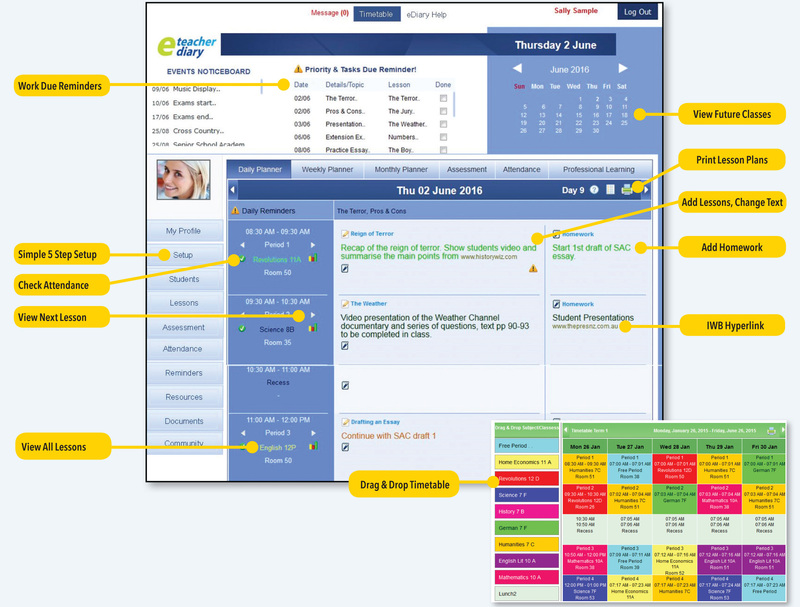 Imagine a paperless planner that allows you to view tomorrow’s lessons today. A planner that pre-loads every one of your timetabled subjects & classes across the entire teaching year...all you have to do is start adding your lesson plans. From Australia’s leading publisher of teacher planners comes the Teacher eDiary. 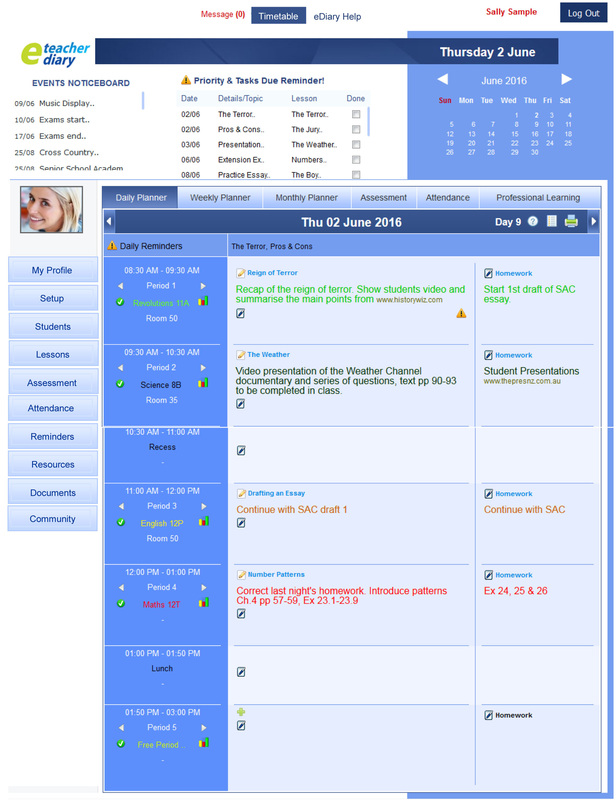 It’s the Australian online planner for teachers, developed by teachers, that’s cost-effective, easy-to-use and offers high-end security. Now in its seventh year, it is continuously fine-tuned to meet the demands of our users. Our Teacher eDiary is now supported by our New Teacher eDiary App.